Minnesota, the "Land of 10,000 Lakes," is also the land of many ghost stories and famous haunts. Some of the Minnesota places dubbed haunted are unique to this region, and many have a colorful history that's intertwined with the ghosts who are unwilling to leave. The Wabasha Street Caves in downtown St. Paul, located beside the Mississippi River, are manmade. They were carved out of sandstone in the 1840s and were used for mining glass-making silica. Later, the caves were used for food storage, growing mushrooms, and during the 1920s and 1930s were the ideal hangout for St. Paul's upper crust seeking to indulge in prohibited alcoholic beverages. Various gangsters, such as Ma Barker, John Dillinger, and Babyface Nelson, enjoyed the Caves for entertainment, rubbing elbows with the local gentry. 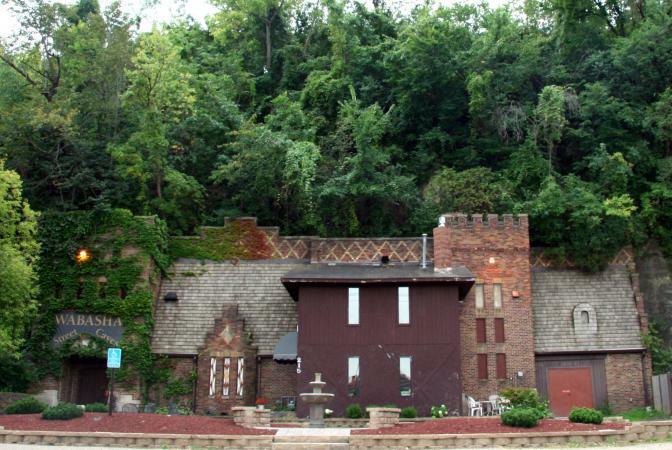 Currently, the caves host tours, conventions, banquets, special events and private parties. Dubbed in 2013 by USA Today as one of ten "great places to discover these cities' secrets," the Caves are also said to be haunted. The caves are locaated 215 Wabasha Street-South, St. Paul, Minnesota, 55107. Call for tour and event bookings at 651-292-1220 or visit their website. Holy Name Cemetery is one of the oldest cemeteries in Minnesota, having been organized in 1856. 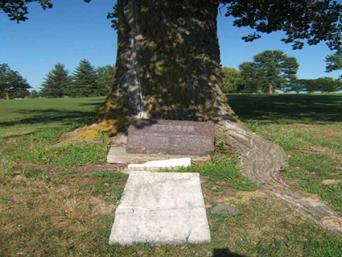 It's the resting place for some of the earliest pioneer settlers, missionaries, and Civil war veterans. According to the book Twin Cities Haunted Handbook: 100 Ghostly Places You Can Visit in and Around Minneapolis and St. Paul, the cemetery is surrounded by ghost stories. A white apparition is seen that "flits through the cemetery at night," but when visitors approach the figure, it vanishes. Footsteps and disembodied voices have been heard. Headlights of a car entering the cemetery suddenly disappears and no car can be found or heard. Odd meteorological phenomena happens, such as calm weather outside the cemetery but "violently windy" inside. 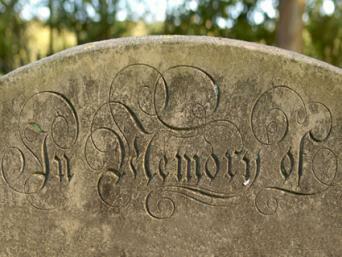 The cemetery is located at 2030 Holy Name Drive, Wayzata, MN 55391. The cemetery is open to visitors. According to Minnesota Monthly, "the most haunted site in Minnesota" and "one of the most haunted sites in America" is The Palmer House Hotel & Restaurant. The original hotel, Sauk Centre House, was built in 1863, but burned down in 1900 in a mysterious fire. It is said that several people hiding in the basement perished in the fire. In 1901, a couple named Palmer rebuilt the hotel with 40 rooms. The hotel is listed as a National Historic Site. 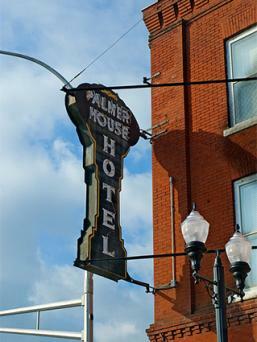 Many paranormal investigation groups and television shows, such as Travel Channel's Ghost Adventures (GA) have investigated Palmer House Hotel. GA had several incidences recorded, such as footsteps, voices coming over the team's spirit box, and team members pinched and scratched. A young blond boy with green eyes is seen on staircase, walking to the second floor. A bouncing ball in hallway followed by voices of young children have been reported. The basement incites feelings of terror in visitors. Poltergeist activity occurs in the bar. The spirit of Sinclair Lewis (a famous Minnesota author) is seen in the hotel. Electrical disturbances with lights and TVs turning off and on in guest rooms (with all new wiring) are reported. Room 17: Prostitute spirit, Lucy, dislikes male guests and slams the door to the room. The temperature drops frequently. Ghostly fingers touching the legs of guests have been reported. Room 11: This room is colder than other rooms and guests often have the sensation of a cat jumping on the bed. Room 22: A residing spirit known as Raymond was supposedly Lucy's pimp and makes himself known to guests. The Palmer House Hotel & Restaurant is located at 500 Sinclair Lewis Avenue, Sauk Centre, MN 56378. Hotel reservations can be made by phone at 320-351-9100 or 866-834-9100. The ghost that supposedly haunts Heffron Hall at St. Mary's College is a mixture of truth and urban legend. Truth: In 1915, Father Louis Lesches tried to kill Bishop Patrick Heffron while the latter was celebrating a private Mass on the second floor of St. Mary's Hall. Lesches fired three shots, one striking the bishop in the thigh, but the bishop recovered from the wound. Lesches was tried and found guilty. Truth: In 1931, "Father Edward W. Lynch's charred body was found in his bed" located on the third floor in St. Mary's Hall. Urban Legend: Time eroded the facts and eventually the story was embellished to claim that Father Lesches actually assassinated Bishop Heffron. KQAL interviewed Heffron Hall ghost expert and St Mary's graduate Patrick Marek in two parts about the history of the hall and the ghost stories that followed. He told his own ghost story of Heffron Hall. Marek woke up one night after a dream of being choked by a dark figure to find the bedsheet wrapped around his throat and the other end of the sheet tied to the bedpost. Ever since the 1940s there have been reports of all kinds of paranormal activity at this location that include a hooded figure knocking on a student's door late at night, students waking up to find a dark figure in their room, and temperature drops recorded by the school newspaper investigators. There are many anecdotal ghost stories that have been told and retold over the decades. The sound of footsteps and tapping of a cane from the hallway. Unexplained cold winds have been felt. Students report an invisible force that prevents them from entering the floor. 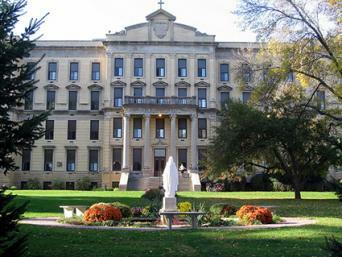 St. Mary's University of Minnesota is located 700 Terrace Heights #2, Winona, MN 55987-1399. 507-457-1700 or 800-635-5987, extension 1700. You can visit the college, but there are no ghost tours or other organized visits available. The Anoka State Hospital operated for 99 years and was originally a "transfer" hospital, which meant patients from overcrowded asylums were transferred to Anoka in an effort to lessen their population burdens. The patients selected to be transferred to Anoka were often the "chronic incurables." According to Haunted Places, there is a maze of tunnels underneath the asylum and this is where most of the paranormal activity has been witnessed. Stories surround the patients using the underground tunnel system in attempted escapes. It is said that those who didn't escape, which were most, committed suicide by hanging themselves from the tunnel ceiling pipes. The tunnels are rumored to be closed and only used by security and maintenance personnel. Cold spots have been felt. Spooky laughter and evil whisperings are heard. Strange noises come from nowhere. Approaching footfalls have been heard. Anoka-Metro Regional Treatment Center is a psychiatric hospital located 3301 7th Ave, Anoka, MN 55303. 651-431-5000. This hospital is not open for tours. The island was named after a local Dakota woman, Grey Cloud Woman. The history of Grey Cloud Island dates back to the Native Americans and Woodland burial mound-builders from about 100 BC to 600 AD. The island has the "largest concentration of mounds in the county." Due to the burial mounds, the island is considered sacred ground by most Native Americans. The only known Indian village in Washington County was located on the island. A small channel, Grey Cloud Slough, separates the island from the "mainland." Sparsely populated, WCHG reports that since the 1990s, the land forming the island has shrunk from 3,800 acres to 2,000 acres due to water levels rising. Some of the paranormal activity reported can be explained, such as the phantom beat-up white pick-up truck that chases intruders off the island. While some witnesses have reported that the truck was driverless, others report an irate islander intent on forcing intruders off the island. Green glowing orbs and glowing green clouds are seen along the roads. A woman's scream comes from the cemetery. A light hovers above the ground, roads, and woods and moves through the cemetery. A phantom motorcycle roars across the island. A young mother is seen wailing over a dead baby. A dark figure leaning against cemetery gatepost smoking a cigarette is often seen. Grey Cloud Island Township, MN. The island is open to visitors. The Old Jail Bed & Breakfast is said to be Minnesota's oldest jail building. The northern building on the property was used as a funeral home during the 1800s and a haberdashery (sewing goods store) during the 1920s and 1930s. The one-story stone structure was built in 1869 by the Schottmuller brothers and was connected to a cave tunnel that led to a brewery they owned that was located further up Angel Hill. The brothers opened a saloon and stored their beer in the cave. In 1884, the jail was built beside the saloon. According to Haunted Places, there have been reports of the apparition of a boy that moves about the second and third floors of the inn. The apparition of a woman is often seen on the third floor. Witnesses report an old steamship captain, smoking a cigar and walking from one room to another. An old lady is seen and sometimes she's in the company of a young boy. The spirit of a prostitute, who wears perfume so pungent it chokes, is seen. She also likes to tear down curtains. A child's laughter was heard. The reporter accompanying the team was a non-believer, but witnessed these events and more. During a scrying session where two people sat across from each other, the reporter witnessed a female team member's face turn into a skull, then into a young Japanese girl followed by an angry old woman. The B&B is located at 349 Government Street, P.O. Box 203, Taylors Falls, MN 55084. Phone 651-465-3112, or visit the B&B's website to make a reservation. 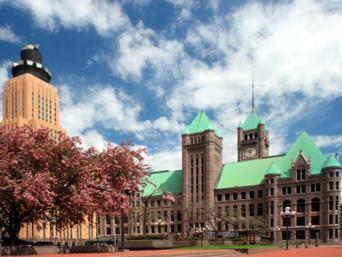 The 120 year old Minneapolis City Hall has long been rumored to be haunted, especially on the fifth floor. Many people blame John Moshik as the ghost haunting City Hall and he creates quite a stir. In 1898, Moshik was the last man hanged in the entire state of Minnesota. He was tried and convicted of murder in a botched attempt to rob $14. According to the Southwest Journal, Moshik shot and then beat to death his robbery partner John Lemke for refusing to steal from people. Unexplained shadows are seen in 5th floor courtrooms. Items in the courtroom have been moved. Judges and lawyers suddenly become severely ill while holding court. Lights flicker on and off. Doors and windows open and close on their own. The 2011 Southwest Journal reported that one night in 1980, Steven Maxwell was vacuuming fallen plaster in the library when a cold chill overcame him and he heard a voice say, "What are you doing up here?" Several times, Maxwell has witnessed a "cloud" moving down the hallway. When he's worked in the attic, he has felt the presence of someone walking behind him. Minneapolis City Hall is located at 350 S 5th St, Minneapolis, MN 55415. Phone 612-673-3000. The city hall is open to visitors. Historically, The Greyhound Bus Museum marks the place considered to be the starting point of the US passenger bus industry. What makes the museum so interesting to ghost hunters is that it is beside a cemetery. The museum was built on land that was used for a 1918 yellow fever outbreak quarantine camp. Hibbing Park Cemetery was ideally located so that bodies could be easily disposed of from the camp. Resident ghosts move about the museum. Employees witnessed bus windows opening and closing on their own. Museum visitors reported seeing shadows that appear and disappear. Tools disappear then show up somewhere else neatly stacked. The apparition of little girl is very active around 5 am (witnessed by local police). EVPs of a little girl have been captured. Greyhound Bus Museum, 1201 Greyhound Blvd, Hibbing, MN 55746. Phone (218) 263-5814. Since this is a museum, visitors are welcome. Visit the website for more details. Another ghost is staid to be one of golf club founders. 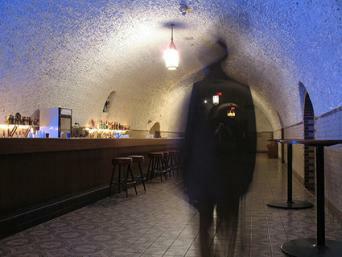 His ghost is seen sitting at the bar. His ghost also peers into windows as employees lock up. TVs turn themselves back on after being off for some time. The air conditioner thermostat turns itself down below 50 degrees. 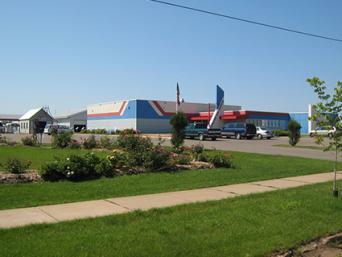 The course is located at 900 Rogers Drive, Montgomery, MN 56069. Phone 507-364-5602 for tee times or visit the golf club's website. These are just a few of the many unusual ghost stories that often seem as plentiful as the 10,000 lakes found in this amazing state. If you look close enough, you're sure to find at least a couple of ghost stories in almost every town.